Malmö has been transformed from a tired industrial city into a city of modern art and knowledge; one whose cityscape and urban life comprises countless testimonies to its evolving nature. Malmö residents and visitors are delighted by its metamorphosis, and word is spreading far and wide. Malmö´s public art is an intrinsic part of its transformation. Many artists are exploring the changing times we live in, and lending urban spaces new values and symbols. Together with works from the past, both large and small, they illustrate and illuminate the extent of annual progress in the city´s development. Malmö is one of the leading art cities of Sweden. This art guide tells you about contemporary works of art, new street art and conceptual memories and monuments. It takes in artistically designed playgrounds and light installations; it describes the many Modernist works of art from the 1950s to the 1970s. And, of course, it also presents the historical works of art that have become not only part of Malmö´s soul, but also an integral part of the city´s identity. 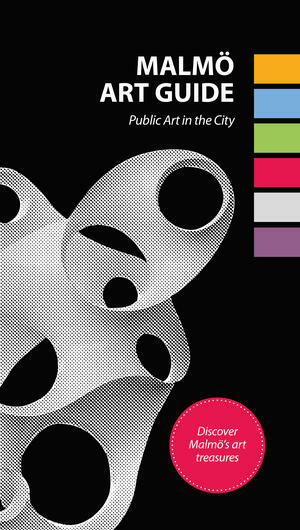 This art guide will sastisfy your curiosity about the city´s works of art. District by district, the works are described in a logical sequence. Those pieces produced in the past 20 years have been given slightly more space in the guide, as they were created in a golden age of public art. Many of the artists are from Malmö itself; however, leading artists from both Sweden and abroad have also enriched the city. Welcome on a journey of discovery of Malmö´s many artistic treasures.